South Korean international defender who represented his country in 18 games from 2008 to 2012. He's played his professional career with various teams in the K-League. 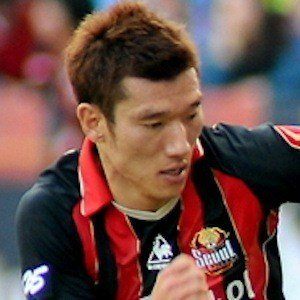 He played at Ajou University from 2002 to 2004 before making his K-League debut with Incheon United. While playing for FC Soul, he spent time with Sangju Sangmu, Korea's military team. He married Seo Yu-ran in 2011 and has a son. He and Ki Sung-yueng played together for South Korea's national team.